Welcome to Silverado Ranch near Bisbee AZ. Come explore the life, Camp, share time with Belle & her friends. I came here from Kentucky almost twenty years ago----through the years---I feel I am very well qualified to make this report. 1992: Darrel Dinsmore--Sierra Vista,AZ.arrived on my ranch---a Baptist Bible Carrying Deacon. 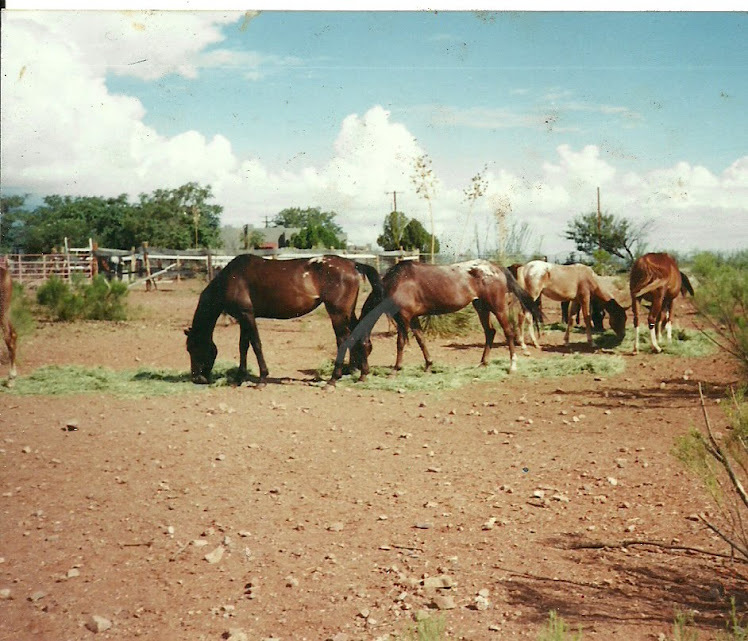 when it was over---he had fleeced e out of 21 head of my young fillies I had purchased in Benson AZ at Robertson's Horse Auction----- taking them to Belen, New Mexico to be auctioned off. squatters or otherwise--that has crossed my path. "Landscaping--Rock Removal" Business in Sierra Vista. could obtain "food Stamps and Access" Their work time spent---approximately two hours daily. of the West----but not this way. now it is 2011----i am now 84---in a wheel chair for two years. and take advantage of "A POOR OLD WOMAN"
ATIONS TO TRY AND "FEATHER THEIR NEST. OR WAYS TO EXPLOIT THE ELDERLY AS WELL AS THOSE LOOKING FOR AN EASY HAND OUT. JUNE 2011-----A LADY CAME DOWN FROM HOLBROOK,AZ-----A SUPPOSEDLY QUALIFIED PERSON WHO COULD BE OF RELIABLE HELP----SENT BY A FORMER WORKER. causing me to lose my horses-=-through her lies. getting the Adult Protection Services involved. DEADBEAT" OR BETTER STILL----THIS GAL HAS A REAL PROFESSION----TAKING OTHERS ALONG THE WAY---BY MEANS OF MAL PRACTICE LAWSUITS AND SUCH. property----giving full hookup for their trailer plus a place to keep their horses in exchange for helping with the work there. eviction notice plus using the grounds for raw sewage used by overflow of their trailer. Cochise County for the last 15 years---Tombstone---as a carriage driver--plus other things. AND IT NEVER ENDS----"DOES IT"??? TO THE PERSON WHO IS R ESPONSIBLE FOR SPREADING ALL THE "LIES AND SLANDER ABOUT ME AND MY RANCH"
LIVESTOCK INSPECTOR FOR THE AZ DEPT OF AG----(REPORTING ME) AND WAS LATER ADVISED THROUGH HILARY O'BERT BY AN EMAIL I RECEIVED FROM INSPECTOR HILARY O'BERT. FOR SMUGGLING OF DRUGS AND ILLEGALS. AS OF JUNE 27--2011----IMPROPER LY PERFORMED DUTIES AND THROUGH VERBAL THREATS. the care and condition of my Horses. BY POSTING ON "TRAVEL WITH THE BAYFIELD BUNCH "
OUT OF TUCSON--------YOU NAME IT------SHE'S DONE IT. THE YEARS------MAY YOU GET ACQUAINTED WITH HIM!!!! starving my horses and other animals--and unable to care for my self. Taking what I had worked for--And has greatly damaged my health :dealing with MS and Broken Hip injuries.
" HERE'S TO YOU BABE"
She calls herself---RachelrClink user/composer on "youtube" about her visit to Belletarr's Siulvedrado - about the STARVING HORSES--the other animals ----plus pictures of ALL. If you haven't visited her video's----I highly recommend doing so-------IT WILL MAKE YOUR DAY. procedures---as forwarded email to Belle Starr from Hilary O'Bert--stating in email :Hilary O'Bert to Rachel Rutherford---that She---Rachel----should not have done this. What a place.I guess what they say is true---Aint no fool like a old fool"
Animal Control---an anonymous call--2 other anonymous calls. AND WRECKING MY LIFE AND MY PURPOSE FOR "SILVERAO"RANCH. AND ABUSIVE MANNER OF ALL THE PERSONS MENTIONED THERETO.